Let’s Hear It For… Iceland, The Team England Should Be Desperate To Emulate! As tempting as it was to devote an entire morning to chastising England for wilting like knackered spinach in Nice last night, instead Pies thought we’d take the chance to begin by paying earnest, proper tribute to the rightful victors. Sincerely, and with no trace of bitterness or condescension, Iceland were outstanding. Full-blooded, astute, unafraid, combative, athletic, adept, ready. 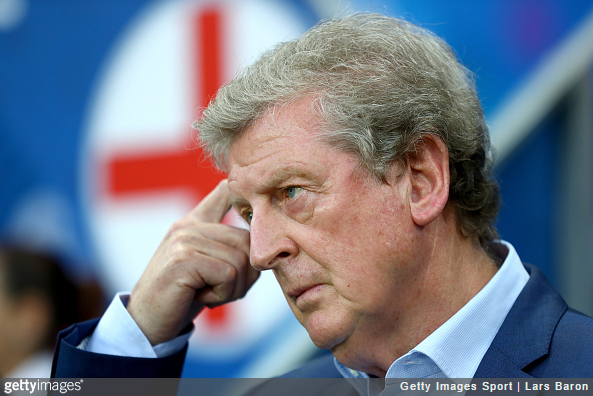 Conversely, Roy Hodgson’s charges trundled about with that all-too familiar miasma of unearned superiority. Wearisome. Plenty of England players have said similar things over the course of the tournament, and therein lies the crucial difference. It’s just a never-ending pantomime of empty interviews and flaccid gestures. We all know the motions off by heart now. One minute they’re ‘up for this’, ‘proud’, ‘buzzing’, etc, etc; the next they’re meekly applauding hundreds of devastated travelling fans from the safe confines of the centre-circle. When Iceland said they were going to be brave and bold at Euro 2016, they sodding well meant it. Indeed, their national anthem closes on a line about the island being an tiny flower that offers itself to god and then dies. It urges all to accept and embrace their littleness because even the greatest dynasties are insignificant in universal terms. Iceland embrace their tininess, they are moulded by it. England refuse to acknowledge theirs, and are there for perpetually stymied by it. It’s as if being seen to struggle, sweat and strive to overcome adversaries is somehow beneath them, the last resort of the technically inferior. Something ‘lesser’ teams do. We ask you, what could be more technically inferior than letting a five-yard pass slip underneath your foot, or thraking yet another 60-yard cross-field ball straight out for a throw-in, or failing to create a single meaningful goal-scoring opportunity from open play for 80 minutes? Ho hum. At least we’ve got a proper team to cheer on in the next round now. Well said pies, if I could add one thing to your initial comparison, it would be the “typical” hands on head in disbelief that they had lost a match they should’ve won, only to cover up the fact that they were more in love with themselves, than they are with their country. Too bad that every England player can’t spend some time with a WWI or WW2 veteran to learn about what patriotism really means…oh wait I forgot, theyre probably listening to podcasts of those heroes on those headphones we see so regularly.